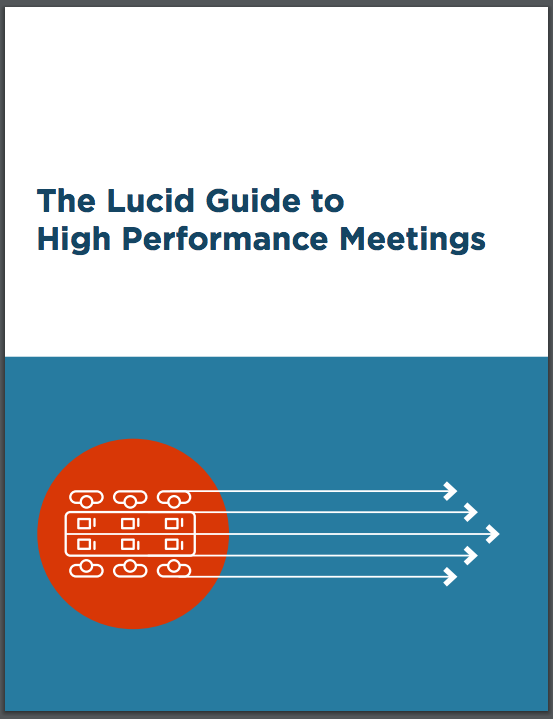 Over the course of the next several months, I'll be pulling together The Lucid Guide to High Performance Meetings, a book in four parts capturing the key concepts, techniques, and resources needed to establish a high-performance meeting practice within an organization. When finished, the book will include both information previously published here and brand new material designed specifically for the guide. Today, we're providing the initial cut, Part 1: Understanding Meetings, for free download. This is a first-pass work-in-progress, and I'm very eager to hear feedback. The hope is that by providing these early previews, I can learn from you how to make the final product more worthy of the trees that will be sacrificed for it's publication. To get you started, here's a peek at the Introduction. Meetings are a means to an end. We do not create teams and organizations and businesses so that we can meet. We meet so that we can create successful teams and organizations and businesses. Meetings are fleeting. 20 minutes here, a few hours there. Created by you and imposed on you as brief interludes in the larger flow. So if meetings aren’t the point, and if they’re all temporary at best, why focus time and energy into mastering them? Why invest in a high-performance meeting culture? Organizations can’t operate or scale efficiently without meeting. If you hold a leadership, management, or collaborative role, you’ll spend a huge portion of your time in meetings. Don’t let that part of your life go to waste. Meetings are the one systemically addressable habit shared by and impacting every part of the business. If you’re looking for a way to invest the least effort for an outsized reward, this is it. It’s where the action is. Teams make sense of their work and their relationships with each other in meetings. The decisions and battles and discoveries all come together when you meet. What makes a meeting high-performance? Meetings are a tool. Their function is to connect people and move work forward. So, like a spatula or a vacuum cleaner, you can evaluate a meeting’s basic effectiveness on how well the tool did the job. For any specific meeting, the job to be done may be expressed as a set of rational and experiential aims. Simply put, the meeting must create a tangible result and feel like good use of time. An effective meeting produces meaningful outcomes. These may or may not always exactly match the desired outcomes, but they will be related and they will have moved the group ahead. High performance meetings achieve all of the above with a minimum investment of time, effort and drama. High-performance meetings are both effective and efficient. The modern economy deals in information and advances through innovation. New knowledge, inventions, and perils develop at rates our predecessors never imagined possible. The challenge is no longer simply what you can do that your competitors can’t. Rather, it’s about how quickly you can learn, adapt and create, and the increasing rate and volume of information flow make it impossible for any one individual contributor to manage it alone. High performance meetings establish respectful relationships between participants and efficiently synthesize information. They pool the resources, talents, and knowledge of all participants to surface new ideas and make informed decisions quickly. In a slower world, meeting performance was an aspiration. In today’s economy, it is an essential capability required for organizational health. We have a growing body of research which shows that the impact of improving meeting performance extends far beyond the conference room. 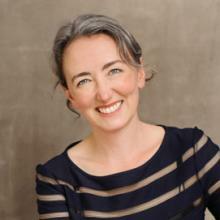 At a financial and regulatory consultancy we studied, for example, three months after managers began to rethink the firm’s approach to meetings, a survey showed that employees perceived significant improvements in team collaboration (a 42% increase), psychological safety to speak up and express opinions (a 32% increase), and team performance (a 28% increase). Other aspects of organizational life improved as well, and respondents’ ratings of satisfaction with work/life balance rose from 62% to 92%. Google’s research on high performance teams found that the most successful groups were not those composed of outstanding individual contributors. Instead, the best performance was seen in teams that established psychological safety and developed mature collaboration skills, much of which gets established in team meetings. On the other side, a research group from Germany found that ineffective meeting behavior had an outsized negative impact on team performance, and that this impact could be traced directly to the performance of the larger organization. Teams that showed more functional interaction, such as problem-solving interaction and action planning, were significantly more satisfied with their meetings. Better meetings were associated with higher team productivity. Moreover, constructive meeting interaction processes were related to organizational success 2.5 years after the meeting. Dysfunctional communication, such as criticizing others or complaining, showed significant negative relationships with these outcomes. These negative effects were even more pronounced than the positive effects of functional team meeting interaction. Kauffeld, Simone & Lehmann-Willenbrock, Nale. (2012). Meetings matter: Effects of work group communication on organizational success. In our work with clients, we’ve heard how ineffective meetings impact people’s lives outside the office. When meetings are chaotic, interrupting, and unpredictable, people report spending more time working after hours, more stress, and declining health. One client we interviewed even blamed the company’s meetings for his alarming weight gain and gastric distress. You know that can’t be good. As a society, we no longer have the time, attention span, nor tolerance for ineffective meetings. The negative impact bad meetings have on an organization has grown. On the other hand, organizations running high performance meetings don’t talk about them the same way. In fact, people in these organizations don’t really talk about meetings much at all. Instead, they talk about the ideas, the decisions, and the challenges they tackle in meetings. One benefit from establishing high-performance meetings is that you don’t have to talk about your meeting problem any more. The organization knows how to meet, does it well, and can get on with the business at hand. The focus returns back to achieving the goal, and away from the meeting mechanics required to get there. How you meet is who you are. How we talk about our work changes the work. When you becomes we, meetings are where we join our thoughts, share our words, and decide on the actions we’ll take. The way we conduct ourselves and treat each other in meetings becomes a habit that expresses our shared identity; no matter what we might see written in the corporate handbook, our true values become apparent in our meetings. High performance meetings drive high performance organizations. Part 1 of this guide covers what you need to understand about meetings to bring this performance to your organization. The preview is available for download in PDF and ePub formats. Read more, and please let us know what you think in the comments below.